Culver City, CA, September 04, 2018 --(PR.com)-- Health Gorilla (https://www.healthgorilla.com), provider of a nationwide Clinical Network that enables clinical interoperability under the Trusted Exchange Framework Common Agreement (TEFCA) announced today they have completed a Service Organization Control 2 (SOC 2) Type 1 Audit. The SOC 2 Type 1 Independent Service Auditor’s Report focuses on five controls relevant to data security, availability, processing integrity, confidentiality and privacy. 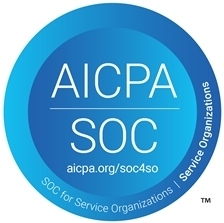 SOC 2 certification attestations were developed by the American Institute of Certified Public Accountants (AICPA). SOC 2 certifications are available to multiple industries, including healthcare. The security of information technology (IT) applications is particularly important to create meaningful interoperability for healthcare providers, health organizations, payers and other eco-system participants. As implementing clinical interoperability became the top priority requirement for the healthcare industry, covered entities and business associates needed to be assured that clinical data exchange is taking place in the most secure environment. "All of Health Gorilla’s services depend on a foundation of safe, secure exchange of clinical information, and our SOC 2 certification attests to this high level of security," stated Steve Yaskin, CEO of Health Gorilla. "Trust and security are important in healthcare, and Health Gorilla has invested in both because our customers and Clinical Network participants must have the utmost confidence in our platform." Health Gorilla is solving one of the major challenges facing the healthcare industry today with its Clinical Network that provides an interoperability platform to connect the entire healthcare ecosystem, allowing physicians, payers, hospital systems, diagnostic service providers, and accountable care organizations to gain a complete picture of their patients within the entire care continuum. Health Gorilla's Clinical Network connects doctors, healthcare organizations such as hospitals, Federally Qualified Clinics, long term care facilities, hospitals, HIEs, IDNs, diagnostic labs, pathology, genetic and radiology imaging centers, and consumers in a HIPAA-compliant exchange of normalized information and communications that was never before possible – ultimately creating true interoperability to empower providers at the point-of-care and patients to truly take control of their own health at reduced cost. With the Health Gorilla Clinical Network, clinical data is exchanged between providers treating common patients in a unified way, allowing them to bypass the need to implement costly EHR upgrades and peer-to-peer integrations. Health Gorilla solves the problems associated with incompatible medical data formats by normalizing and standardizing multitude of incompatible formats into an aggregated C-CDA/FHIR record to provide healthcare organizations with a secure longitudinal and actionable view of their patients’ medical history. Clinical Network also automates external EHR clinical workflows at the point of care, enabling instant nationwide patient matching and identity verification, data governance, electronic ordering of labs, procedures, imaging, referrals and online patient data synchronization between clinical systems, reducing the rate of incomplete, duplicate procedures while eliminating inefficient paper based processes. “Health Gorilla’s Clinical Network can help healthcare providers meet today the new policies and procedures outlined in the draft ‘Trusted Exchange Framework and Common Agreement’ (TEFCA) recently released by the Department of HHS, Office of the National Coordinator for Health Information Technology (ONC),” Mr. Yaskin stated. Health Gorilla is HIPAA-compliant and ONC MU2 certified with SOC 2 compliance. The Network is available via EHRs, IDNs, direct web browser access and Health Gorilla mobile apps. Health Gorilla's Clinical Network connects doctors, vendors, and patients within a single, secure national interoperability platform – enabling interoperability in adherence with TEFCA and transforming care coordination. Today, Health Gorilla processes millions of daily clinical exchanges including hospital admissions, transfers, discharges, social and family history, plans of care, referrals, lab results, diagnostic imaging and medications to compile entire patient chart into a universally interchangeable C-CDA format for physicians, healthcare organizations and patients, which improves health outcomes at the point of care at reduced cost. To join the Clinical Network and redefine what care coordination means, healthcare administrators, physicians and patients can join at www.healthgorilla.com.